What are the dates for future Reykjavik Marathons? There are five available distances in the Islandsbanki Reykjavik Marathon. Note that some distances have age limits. The online registration is open from January 11th, 2019 to 13 o'clock (1 PM) on August 22nd, 2019. 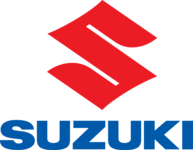 It is also possible to register at the EXPO. The registration fee gets higher as it comes closer to the race. Included in the registration fee is a rented chip for timing, bib number, a medal for all the finishers and special prizes for the winners. Powerade drinks and water at the finish line and on water stations along the course are also included as well as one free admittance to one of the geothermal baths and pools in Reykjavik. Is there a limit on the number of runners that can take part? All international runners are guaranteed a place if registered online. We though recommend that you register in time because then you will pay a lower entry fee. The race numbers and chips for timing are given to the runners at the EXPO. Yes, you can change your distance online at "your page – the runner's page" until online registrations close. It is also possible to change the distance at the EXPO. No change fee is collected but if the new distances entry fee is higher then you will have to pay the difference. Can the entry fee be refunded or deferred to next year? No, the registration fee cannot be refunded or deferred to next year. See further information under entry fee. The following program is subject to change: At 8:40 the marathon and half marathon are started. At 9:35 the 10k race starts and the 3k Fun Run starts at 12:15. The 600 m Fun run has two starts, first one will be at 13:30 and the second one at 14:30. Marathon, half marathon and the 10 km race starts and ends at the same place in the street Laekjargata that is located downtown Reykjavik by the pond and the city hall. The 600 m and 3 km Fun Run starts in Laekjargata but ends on Skothusvegur. Can my family and friends come with me to the start? Yes, there is plenty of space for family and friends at the start and finish line. We recommend that spectators stay on the grass in front of the school building by the start line. Is there a time limit for completing the race? The time limit for the marathon and half marathon is 7 hours and 30 minutes. Starting at 8:40 and ending at 16:10. The 10k race has 4 hours and 30 minutes time limit. Are there pace makers in the race? Yes, there are pace makers in all the competitive, marathon, half marathon and 10 km, distances. The pace makers will run in bright coloured vests with balloons fastened on them. Information about the pace makers speed will be available one week before the race. Can I use Reykjavik Marathon to qualify for other international races? Yes, the Reykjavik Marathon has been a member of AIMS (Association of International Marathon and Distance Races) since 1984 and is, therefore, a certified course. Many international races, therefore, accept Reykjavik Marathon as a qualifier for their race. The marathon and the half marathon are one lap (except for the last part of the marathon, as it goes nearly the same route as the beginning of the race). The course is relatively flat, about 60% flat and 40% rolling. The total difference in altitude is only about 30 meters. Most of the race takes place on the streets of the city, although parts of the route are run on tracks, particularly the seaside and salmon river sections. Course record for the marathon is 2:17:06 and for the half marathon 1:04:09. Click here for maps. What kind of areas do runners run through in the Reykjavik Marathon? The course of the Reykjavik Marathon is unique, and very scenic. The race starts and finishes downtown within sight of the pond and the city hall. The location is unbeatable, considering that a large number of hotels are within 5 to 10 minutes' walking distance from the start of the race. The first part of the course runs through a residential area where many of the inhabitants come out of their houses to cheer the runners on. This is followed by a section where the runners pass along the seaside and have excellent views of the ocean, but also of the mountains surrounding Reykjavik, including Esjan and the Snæfellsjökull glacier. Participants in the marathon also run through the Elliðaárdal valley, the location of one of the country's more popular salmon-fishing rivers, a small waterfall, and some woodland. The participants pass a number of famous buildings, including Höfdi House, a Reykjavik City Council reception venue where US President Ronald Reagan and USSR General Secretary Mikhail Gorbachev met for a summit in 1986. The Reykjavik Marathon takes place in August and the average temperature for this time of the year is about 14,5°C or 58°F, which is ideal for running a marathon. What is the atmosphere like in the Reykjavik Marathon? The race offers an atmosphere which is both relaxed and welcoming. Around 1,500 runners participate in the marathon and around 2,500 in the half marathon, making both races less crowded than is generally the case in larger events. Since the Reykjavik Marathon also includes 10k, 3k Fun Run and 600 m Fun Run distances, it's also a family event. 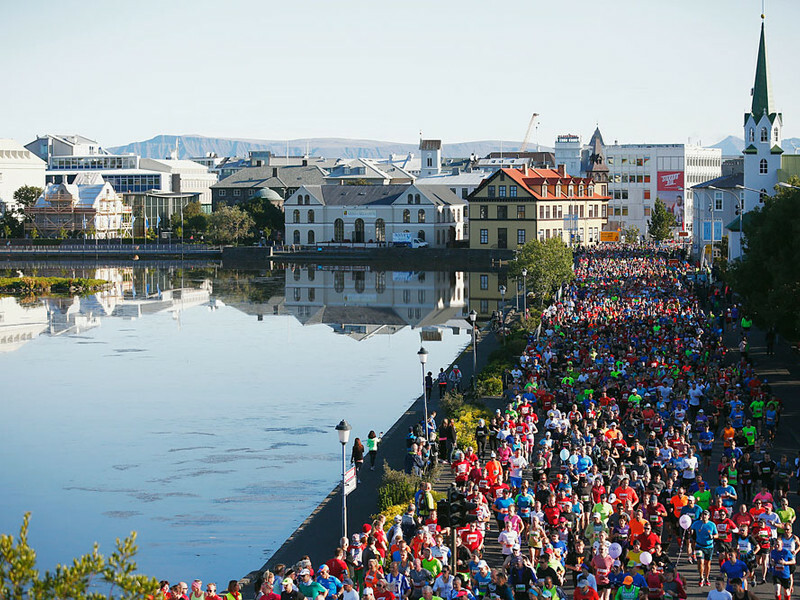 Although only around 200,000 people live in the larger Reykjavik area, large crowds gather in the streets to support the runners. However, parts of the course pass through uninhabited areas where there are few spectators, giving the runners a chance to enjoy Iceland's natural environment and the spectacular scenery. How many runners are you expecting to take part in the Reykjavik Marathon? Do you have many international runners? In 2017 over 3.000 international runners took part in the Reykjavik Marathon. The number of international runners is growing every year. Are there any special events taking place in the Reykjavik Marathon? Yes, the Reykjavik Culture Night (Menningarnótt) takes place in Reykjavik on the same day. The Reykjavik Culture Night is one of the most popular events in Iceland and is the city's greatest celebration. People from all around the country and from abroad travel to the capital to enjoy various cultural events. This is truly an art festival with all kinds of happenings all over town, be it theatre, music, fine arts, food or just fun. The long program of cultural events stretches right through the day. A myriad of art exhibitions, string quartets and theatre events rub shoulders with rock bands, graffiti artists and an air display in the run-up to the fireworks at 11 pm. The spectacular display heralded the official end of the celebrations, but as the heavens open, many thousands of people make their way to the bars and nightclubs to find out why Reykjavík thinks of itself as such a cool place to be. How can I travel to Iceland? There are direct flights to Iceland from over thirty cities around Europe, USA and Canada. There are some great tour operators around the world who can arrange a good trip for you to Iceland. Click here for a list of known tour operators. Send us an e-mail to marathon@marathon.is if you cannot find the answer to your question.